As you might already know, iOS 5 Beta 7 was released a few hours ago, along with iTunes 10.5 Beta 7. If you have already updated your device and are looking to jailbreak it, good news: it can be done using the latest beta version of Redsn0w (which was released last night), as confirmed by the iPhone Dev Team. Using this tool, users can easily apply a tethered jailbreak on any device running iOS 5 Beta 7, except for the iPad 2 which can’t be jailbroken using any tool other than the web-based JailbreakMe (which only works with iOS 4.3.3 and below). With a tethered jailbreak, all tasks associated with jailbroken devices, such as installing unauthorized apps and tweaks, can be performed just as normal. The only difference between a tethered and untethered jailbreak is that the former requires the device to be plugged into a computer running Redsn0w whenever it’s powered on in order for it to boot into a jailbroken state. This is a significant annoyance, yet there’s no way around it for iOS 5 yet, sadly. Redsn0w is a reasonably easy-to-use tool, requiring users to simply follow the on-screen instructions. Be sure to follow our simple step-by step guide, yet when asked to point the program to the right IPSW file, remember to point it to the iOS 5 Beta 6 one, not the just-released Beta 7 one – sadly there’s no way around this. Before you proceed, be aware of the caveats that are always associated with jailbreaking iOS devices. For one, your device’s warranty will be permanently voided, making it much harder to get the device serviced with Apple should any problems occur. More than just support, jailbroken iOS 5 devices also lose the ability to download future iOS updates over-the-air, requiring iTunes for future updates at all times, yet this drawback can easily be resolved by restoring the device through iTunes. 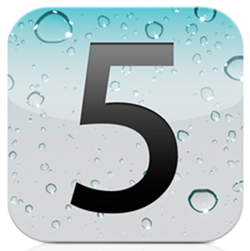 iOS 5 is the upcoming major release of the operating system that runs on iPhones, iPod touches and iPads. Announced at Apple’s developer-oriented WWDC conference, iOS 5 includes many new features users had long wished for, such as system-wide social integration and enhancements to Mobile Safari.